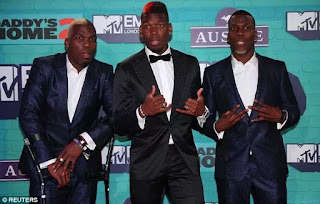 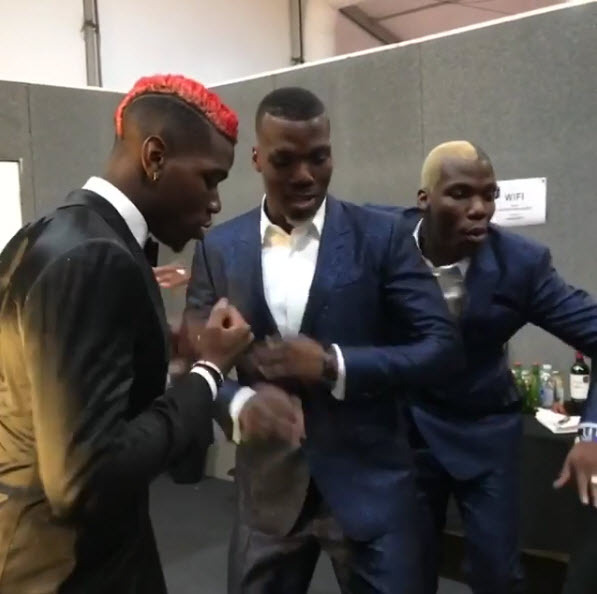 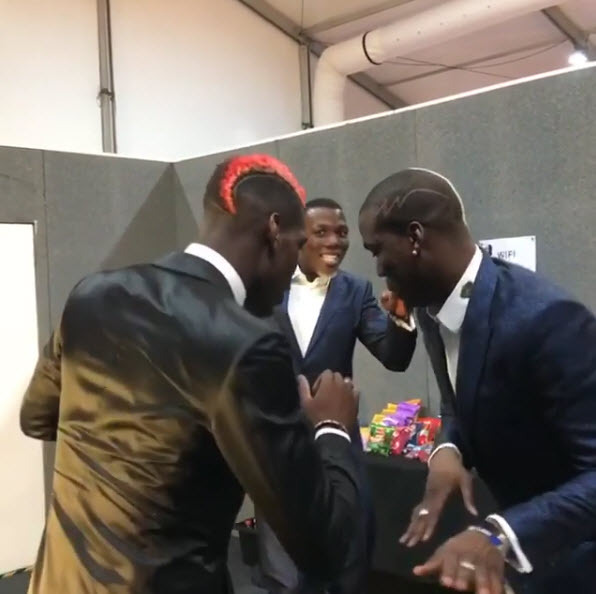 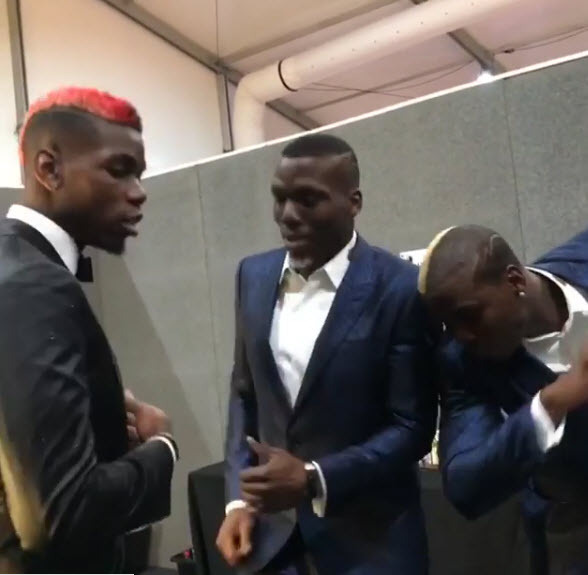 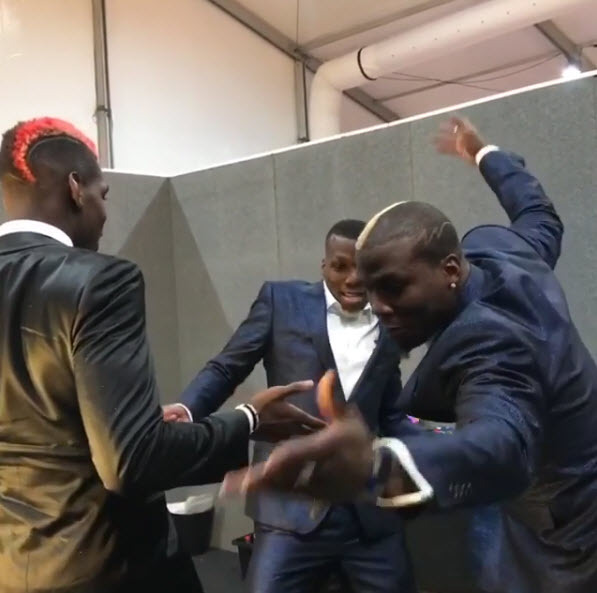 Manchester United star, Paul Pogba and his twins brothers Florentin and Mathias were in attendance at the MTV European Music Awards on Sunday night. 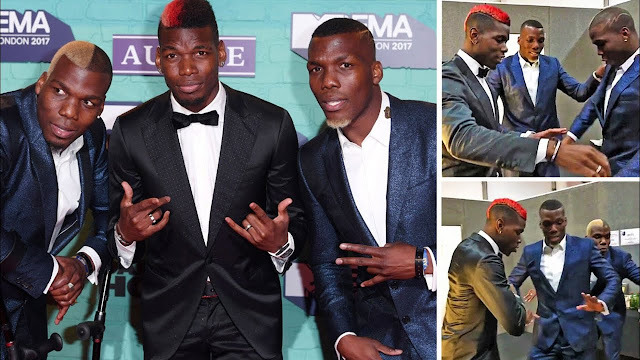 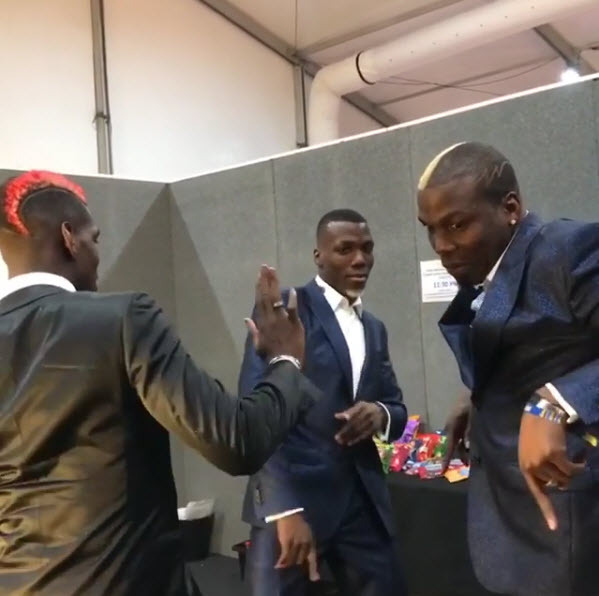 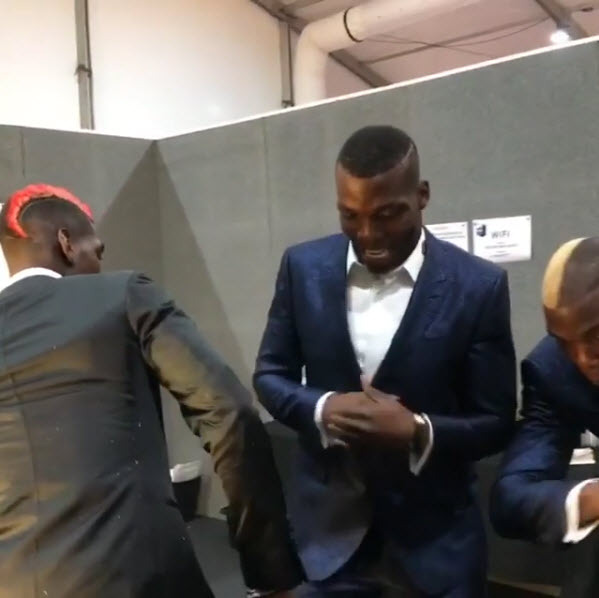 The Pogba brothers were all dressed up for the occasion in London. 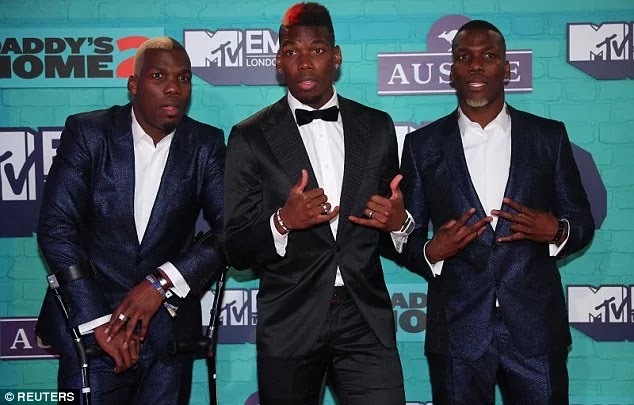 Pogba was presented with another award at the gig.